When you decide to book a guided fishing trip, it is an investment in your vacation time. Do all that you can to help your guide make this a memorable trip for both parties. You should expect a quality fishing trip and a guide that works hard. 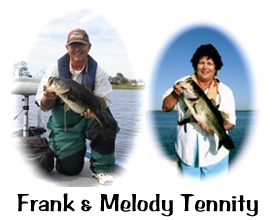 Your guide is a skilled angler with years of experience and many hours on the chosen water. A good guide spends his off time locating fish and preparing for your fishing trip. Normally it takes 2-3 hours to get equipment ready, such as cleaning the boat, new line, retieing, making final arrangements with the customer, checking on the availability of bait and a host of other tasks. The actual hours for your guided trip is in the range of 10-12 for a full day or 8 for a half day. What can you do to help make this a good fishing trip? Listen and write down information the guide gives you in advance of the scheduled day. Bring whatever clothing, sunscreen, shoes, food, camera and anything else that you were advised to bring. Make a list and check things off as you pack. The most important item you can bring is a good attitude. Expect to catch some fish, but don’t expect that any lake has an abundant supply of 10 lb. fish just waiting for you and you alone. No one can predict whether the next bite is a 3 lb. or a 10 lb. bass, but they are all fun to catch. Practice “catch and release” so you or someone else can catch Mr. Big in the future. Take pictures and measurements, then have a fiberglass replica made to hang on the wall. Be neat while in your guides boat. Do not spill your drink and if you drop some food, pick it up. When the day ends, be sure to thank your guide if he has worked hard. It means so much to know that his hard work is appreciated. Here’s hoping you land the fish of a lifetime.